This week’s polls are out and the Minutemen have hung onto their ranking. Barely. 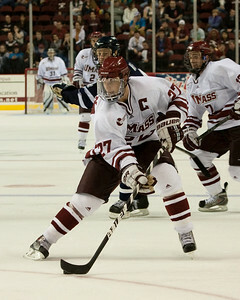 UMass sits at #19 in the USCHO poll. Note that six Hockey East teams currently sit in the top 20. The team is just barely in the also receiving votes category for the USA Today poll. In the only poll that really counts, the pairwise, UMass sits at 16th. That means that they’d be on the outside looking in for a NCAA selection since the Atlantic Hockey autobid would take that spot. INCH has UMass at #19 in their power rankings. Bobby Butler’s four point outing against UMass helped him gain the Hockey East Player of the Week which he shared with Lowell’s Scott Campbell. Justin Braun and Will Ortiz were named Top Performers. However when we’re talking about college hockey awards there’s one that stands out above the rest. 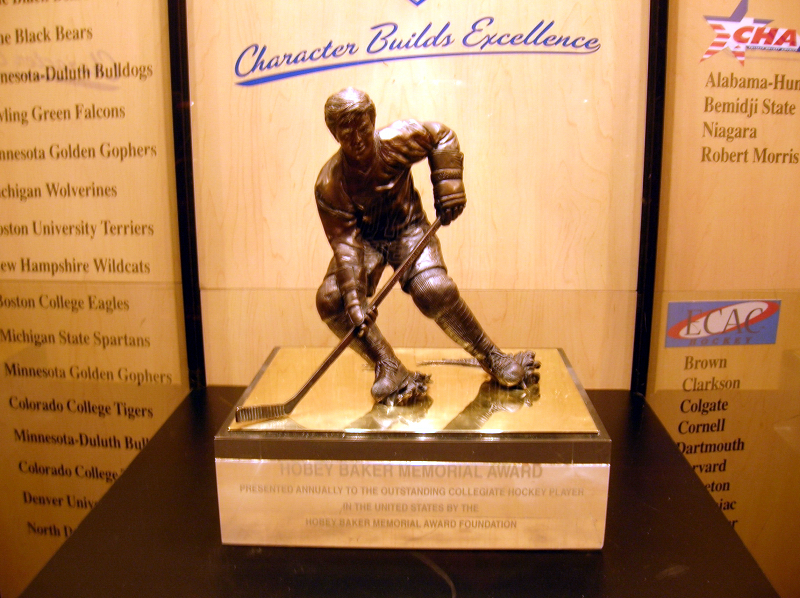 The Hobey Baker Award. 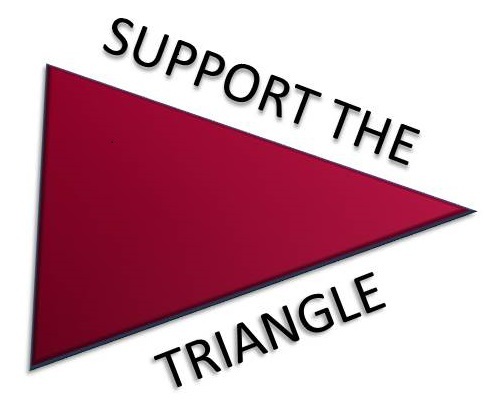 Fan voting has started for this year’s award. UMass has two players on the fan voting ballot; Justin Braun and James Marcou. For some inexplicable reason Casey Wellman, who leads the nation in goals currently with State’s Corey Tropp, is not on the ballot. Better yet, there seems to be no way to contact anyone having to do with the website to try to correct the obvious error (or the fact that they say the championship will be held in Washington DC). But in the meantime be sure to cast your votes for Marcou and Braun. The Hobey Baker Award last year in DC. So that’s what a motivated UMass team looks like. The Minutemen played one of the most complete games in quite a while tonight. I asked after yesterday what kind of team would show up tonight and you have to admire how they responded to getting embarrassed against UNH and called to the carpet by their coach. The team was just flying tonight. Though I’m still a little worried about their dependence on power play goals, there’s very little to complain about the Northeastern game. Defensively they were able to completely shutdown a Northeastern team that put five goals up on Lowell just 24 hours before. The 13 total shots allowed is the lowest on the season, and that was despite Northeastern getting 6 power plays on the night. It was nice to see the penalty kill perform so well since they’d only been killing at a 64.5% rate since Thanksgiving. Great individual efforts were abound tonight. It was nice to see Rocco Carzo score for the second night in a row. If the team is going to have success in the second half I think he’ll have to be a key part of the offense. I also enjoyed seeing James Marcou get one in the net as payback for Steve Silva’s hit from behind just before. While Casey Wellman had another goal, putting him tops nationally in that category, his performance in the faceoff circle was nearly perfect winning 17 of 21 chances. While their names don’t show on the score sheet I thought Danny Hobbs and Brian Keane also played one of their better games in a while. I just hope whatever got into the team tonight is still there and they still find themselves hungry. This is a huge weekend coming up with Lowell who is currently tied with UMass for 4th in the Hockey East standings. Not only did Braun have three assists in the game he led a rejuvenated defense that completely suffocated the Huskies. Here’s the recap from UMass Athletics. Toot says they played with a purpose in the Republican game story. Here’s how things looked for the USCHO reporter. Barry Melrose says this could be a turning point for UMass’ season in this recap video from ESPNU. Melrose also had a lot of good things to say about Will Ortiz. Here’s the postgame video from Inside Hockey.